The otters of Green Isle have long been enslaved to the Wildcat Riggu Felis. They work and wait for the day their savior will arrive-the prophesized High Rhulain, who will lead them in battle and a return to glory. 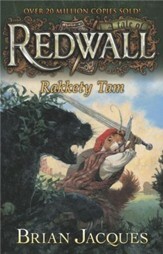 Meanwhile, young Tiria Wildlough, an ottermaid at Redwall Abbey, pines for her chance to learn the ways of the warrior, much against the wishes of her father. So when an injured osprey arrives at the Abbey, seeking help for its wounds and carrying tales of an embattled clan of otters, young Tiria knows what she must do. 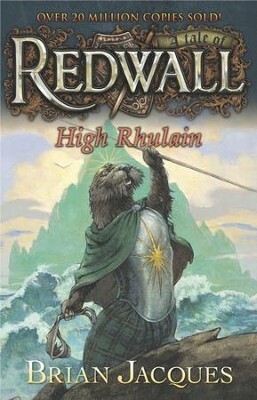 The otters of Green Isle have long been enslaved to the Wildcat Riggu Felis. They work and wait for the day their savior will arrive?the prophesized High Rhulain, who will lead them in battle and a return to glory. 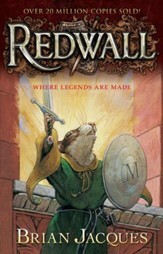 Meanwhile, young Tiria Wildlough, an ottermaid at Redwall Abbey, pines for her chance to learn the ways of the warrior, much against the wishes of her father. So when an injured osprey arrives at the Abbey, seeking help for its wounds and carrying tales of an embattled clan of otters, young Tiria knows what she must do. 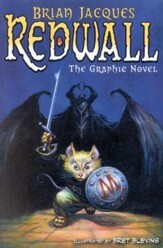 Brian Jacques lives in Liverpool, England. David Elliot lives in New Zealand. 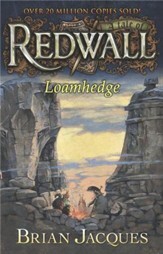 I'm the author/artist and I want to review #18: High Rhulain: A Tale of Redwall.